Chinese New Year is the season where many of you are busy spring cleaning and shopping for new clothes and groceries. 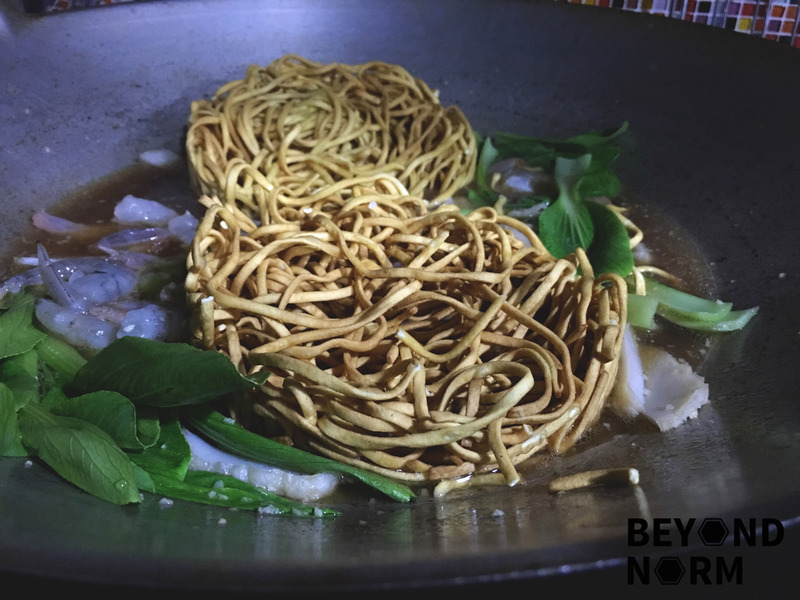 As such, I wanted to share a simple noodle dish to usher in the new year. 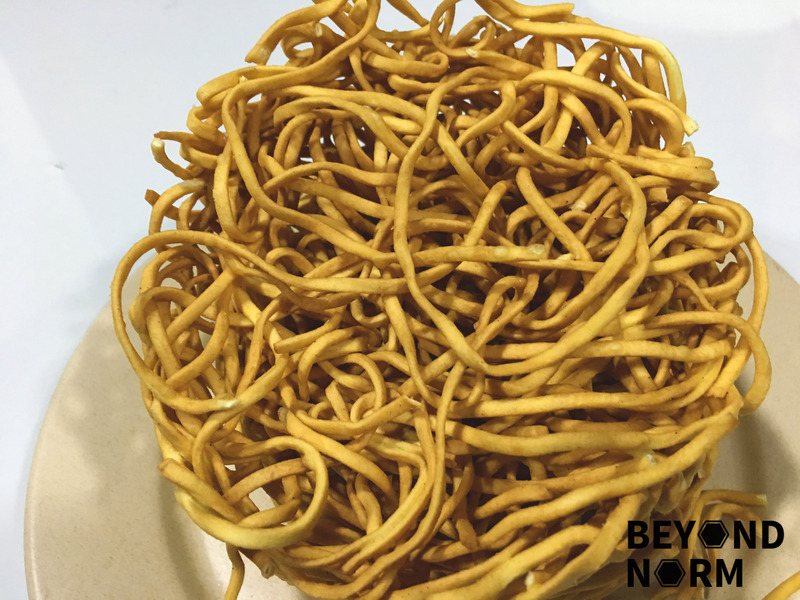 During Chinese New Year, the noodles should not be cut as it symbolises longevity and happiness in Chinese culture. 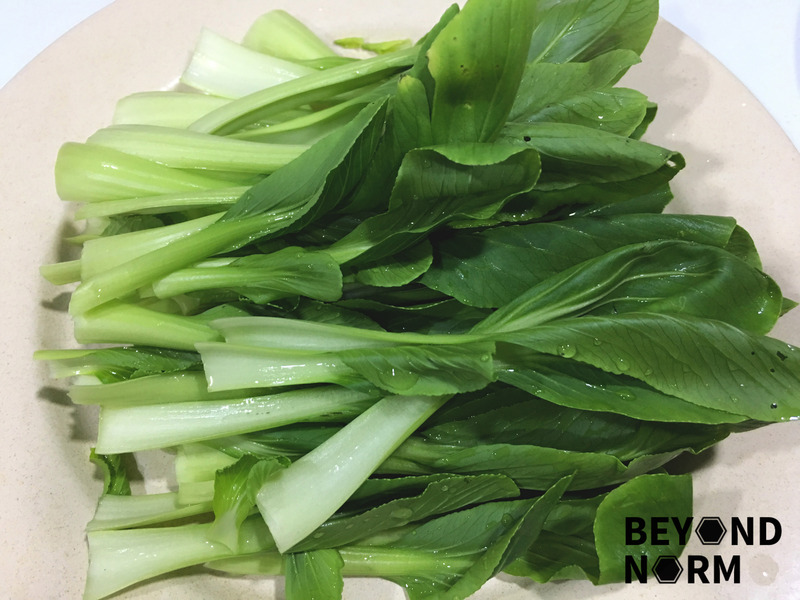 This is a fairly easy and delicious dish to whip up, especially during this busy period where there is so much to do and so little time. Instead of using Longevity noodles (长寿面 Chángshòu Miàn/chung-show myen), I decided to use e-fu noodles. Hope you give this recipe a try. Lower the heat and add the chicken breast. Poach the chicken until cooked. Drain and set aside the chicken stock. When the chicken has cooled down, use a fork to shred the chicken until floss-like and set aside. Sprinkle some water on the noodles and set aside. 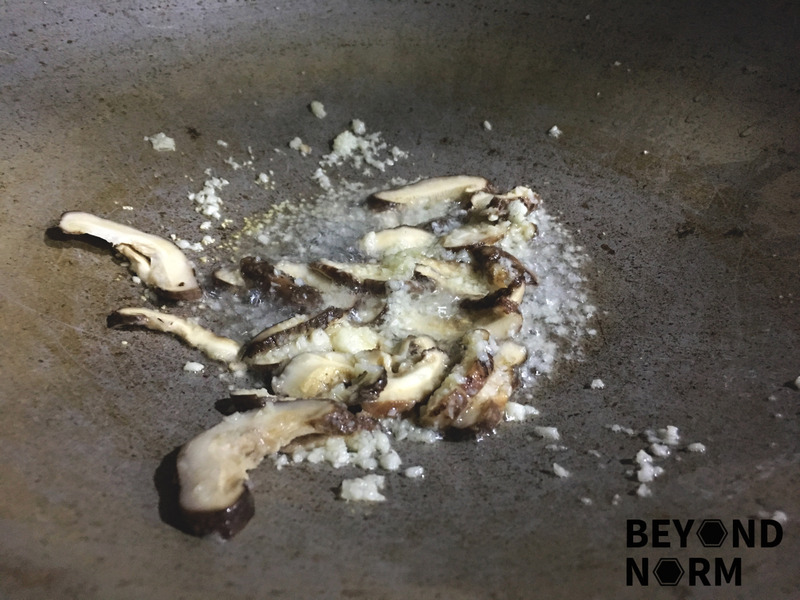 Heat oil in a wok and then add the garlic and shitake mushrooms. Stir fry till fragrant. 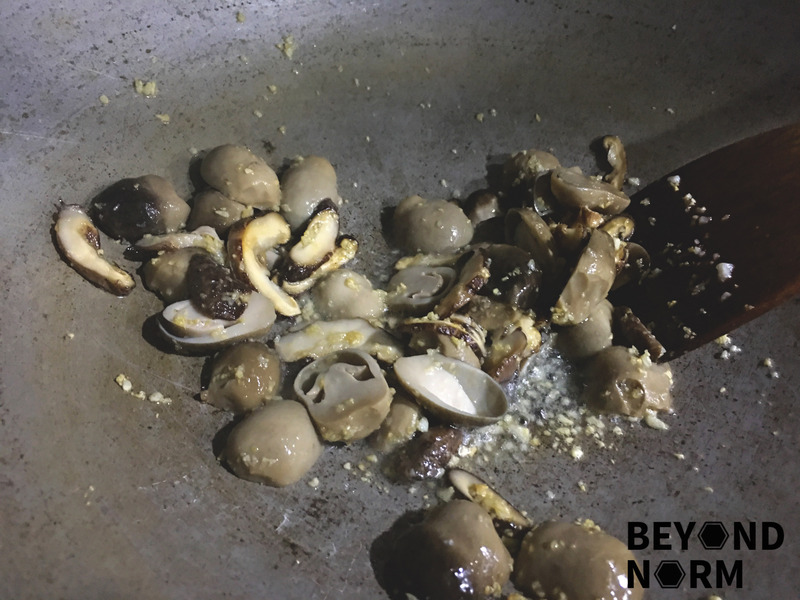 Add in the straw mushrooms and sauté for 1 to 2 minutes. Add chives and sauté for 1 minute. (I omitted this as I do not have it). 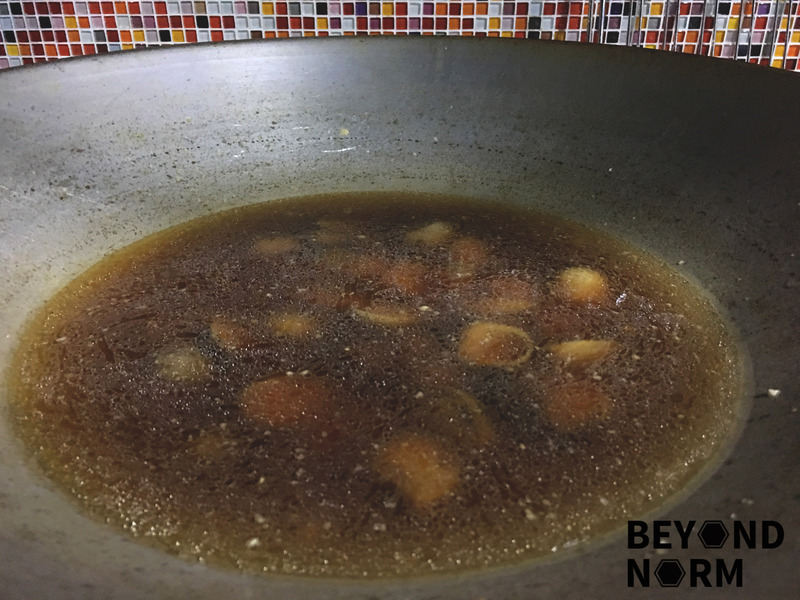 Add 2 to 3 cups of the chicken stock and bring to a boil. Add in the corn starch if you are using. 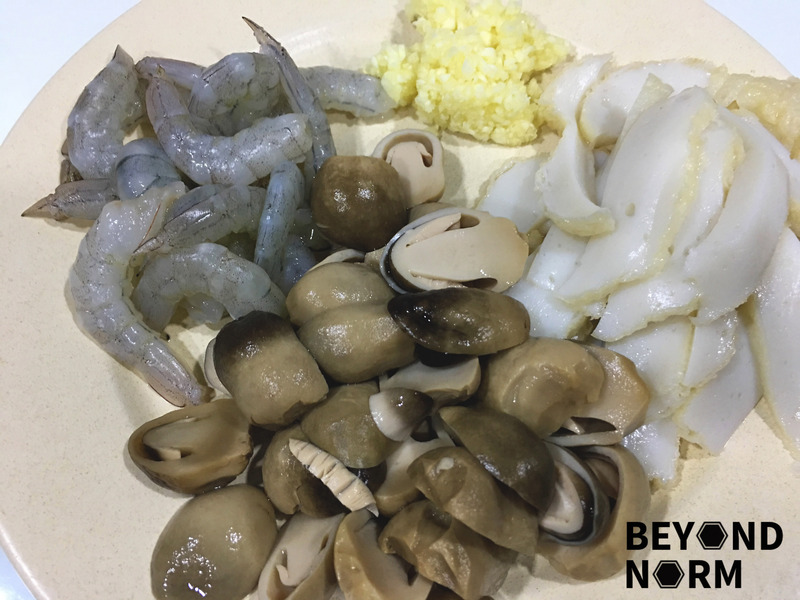 Add in the e-fu noodles, prawns and the vegetable. Stir and mix well. If it is too dry, add more water. Let the noodles simmer for about 5 to 8 minutes. 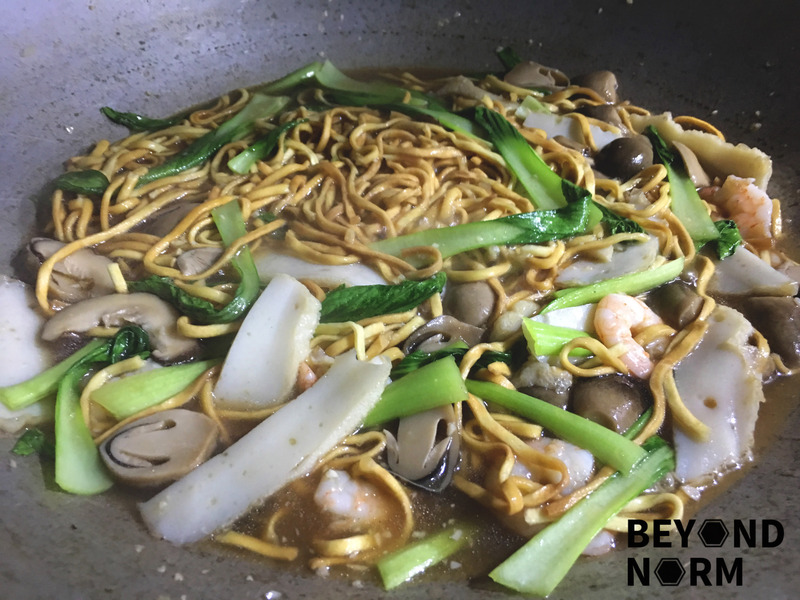 Once it is cooked, let your noodles rest in the wok for 5 to 10 minutes. 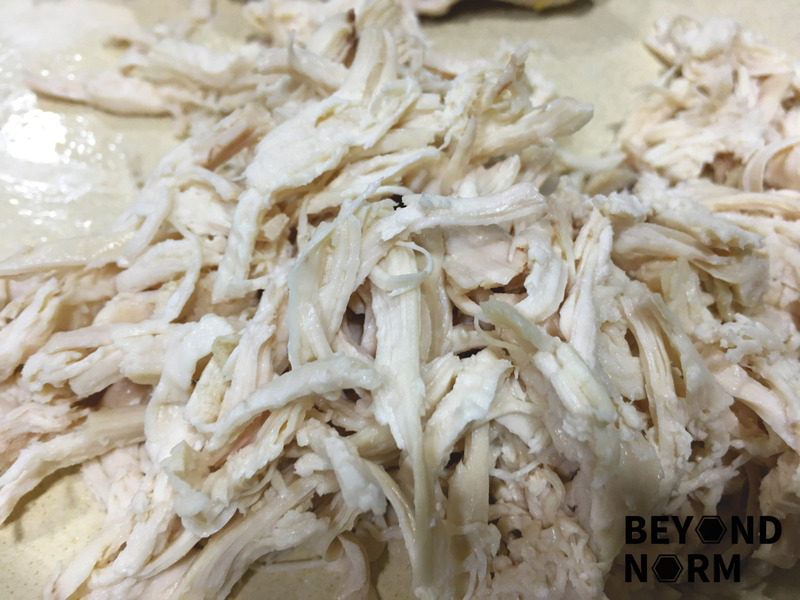 When the noodle is ready, dish up and top it with the shredded chicken. It is ready to be served!